Clearly a very important health hazard in woodworking is that of injury, such as from unguarded saws. 'Manual handling' can also result in musculoskeletal disorders. From the standpoint of the risks of disease, these fall into two categories - those associated with energy (especially noise induced hearing loss) and those from exposure to substances such as wood dust, adhesives, varnishes etc. 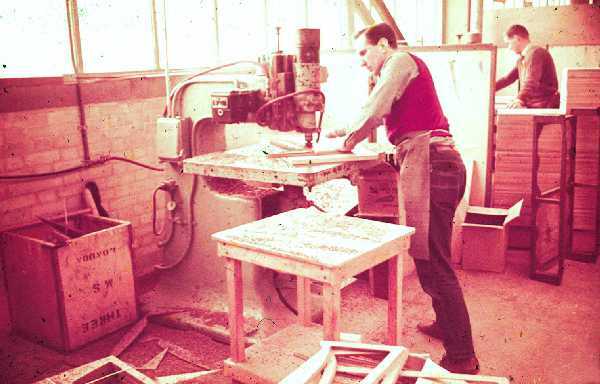 Sensitisation of the skin resulting in dermatitis, or of the nose and lungs resulting in allergic rhinitis or asthma, are important health hazards in the woodworking environment. If exposure is not controlled then certain wood dusts can be associated with a risk of cancer of the nasal sinuses. Note: This page is still in preparation and is not intended to be a comprehensive or exhaustive account of health hazards, risks and means of risk reduction in woodworks.